Apparel Search likes the Stud Devote Glazed Leather Tote from Rebecca Minkoff (style NMF10_v0BWZ). It is a brown glazed leather with goldtone hardware. As you can see in the image above it has top handles with an adjustable shoulder strap. This luxury fashion accessory was made in Italy. 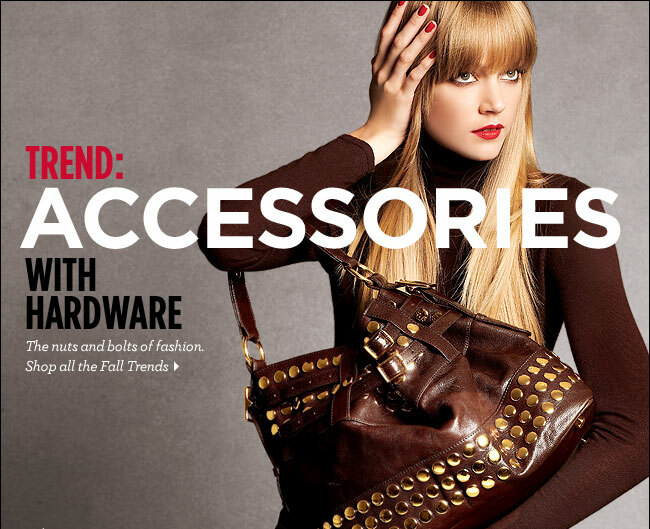 Isn't it fun learning more about fashion accessories for women? Learn more about what is on trend in 2009.